If you were to go back in time 20 years ago and ask a much younger version of me what I thought about sparkling wines, my reaction wouldn’t have been amazing. If you were to ask me about English sparkling wines, my reaction would have been one of bemusement and confusion. Of course that version of me was just starting to make the transition from beer to wine, but even those who were wine lovers would have known little about the sparkling wines of England despite the fact that they’ve been made there, in varying quantities for several decades now. It’s only as of late that this type of wine has taken hold and most attribute it to the folks who took over Nyetimber (an American couple) and jolting some energy into a languishing industry. Admittedly many had tried this over the years and had met with middling success but it was Climate Change that was starting to heat up the southern parts of England which also has made it suitable for grape production and wines that strong to be much more than “adequate”. 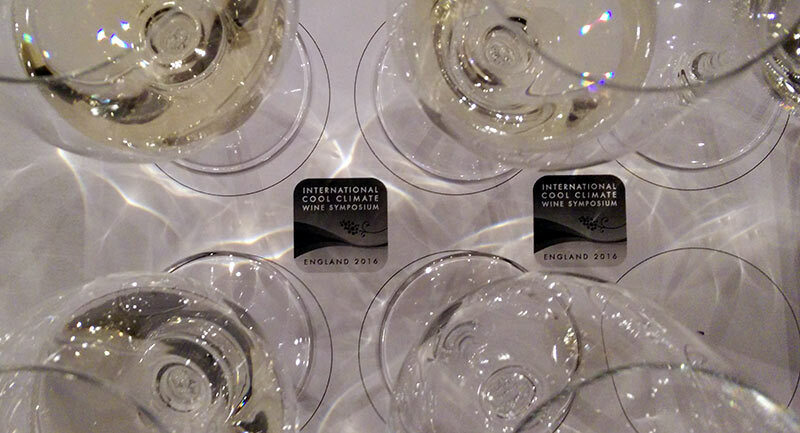 While I’ve had the opportunity to taste an English sparkling wine (this name is still being debated) it wasn’t until the International Cool Climate Wine Symposium at the end of May where I was able to really sit down and have a taste of what was available. Overall, the wines ranged from decent to quite excellent with the Nyetimber and Sugrue Pierre coming in at the top. In the case of Nyetimber, it’s readily apparent why so much praise has been heaped upon them and it also shows how steady a hand the head winemaker, Cherie Spriggs has been in carving out a high quality trajectory for the wines. Those lower down in the were all quite serviceable an oddly enough, reminded me a bit of lower mid-range Cavas. A rather strange statement given that I can’t think of two sparkling wine regions more dissimilar from one another. Crisp, lively, lemon pith, slight almond notes, fine mousses, full of zest with a crisp finish and a lingering acidity. Fresh and linear, touch of oxidation but integrated, floral, chamomile, lively in the mouth, expressive although a touch shorter in the finish. Bit herbal in the nose, light, much more downplayed. Fine in the mouth with some bready notes in the finish that blow off. Light mineral notes and generally delicate overall. Bit big in the mouth with a lighter finish and not as much integration overall. Muscular and broad in the nose but light with lemon pith in the mouth. Excellent, full acidity and a full body. Bit lactic and yeasty in the nose with orange blossom perfume. Medium body, acidity, and finish. Good citrus notes with a direct quality, light with a driven minerality. Just Excellent in the mouth with lovely balance, fresh, and absolutely no edges sticking out. Light strawberry notes, fresh, and quite delicate. Full and broad in the palate. Could take on more integration but well-made overall. Light cherry notes, very delicate although a bit more direct in the mouth. Full fruit blossom, big in the body but well-integrated. Good acidity and bets to be paired with a meal. Touch sweet in the nose, fresh strawberry, linear minerality. Fresh and big in the body with lingering acidity. Mild and inviting in the nose, touch of chalk, big and broad on the palate, fresh fur a bit short. Expressive and full in the mouth with wonderful and fully-integrated citrus notes and crisp, perfect acidity. Excellent wine overall and well-deserving of its praise. Note that this was tasted at an external event the day after ICCWS.